In late July, Heyl & Patterson Inc., a world-renowned supplier of thermal processing and bulk materials handling equipment, announced its relocation to a new base of operations in Carnegie, PA, USA, in a move to accommodate growth. Heyl & Patterson’s new four-storey office building is 30,000ft2, and is a marked increase from the single office floor it previously occupied. Built in 2000, the high-tech facility originally housed a dot-com company. It will be home to the company’s administrative, sales, marketing and engineering teams. 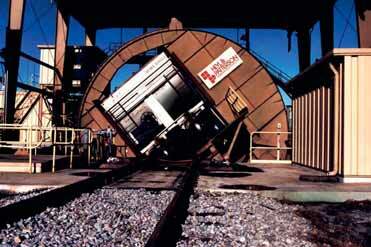 A pioneer in bulk materials handling equipment, Heyl & Patterson was founded in 1887 in Pittsburgh. The company has been based at a variety of locations in the downtown and surrounding areas over the decades, and has been committed to the area for 127 years. Founded in 1887 in Pittsburgh, PA, Heyl & Patterson Inc. provides high quality, custom engineered solutions for thermal processing and bulk material handling applications around the globe. Thermal processing products and services include some of the largest high- efficiency dryers and coolers in the world, as well as calciners, bulk material processors and pilot plant laboratory testing systems. Heyl & Patterson is the innovator the rotary railcar dumper and offers a wide range of bulk material handling equipment, including railcar & barge movers and barge unloaders.